In times of crisis, many people turn to religion for help. When Obsessive Compulsive Disorder (OCD) is the crisis, people frequently consult their religious leaders, seeking guidance and advice about what can be a potentially debilitating disorder. The importance of the role clergy can play in providing individuals with OCD valuable guidance, encouragement and recommendations cannot be overemphasized. Clergy can play an important role in providing guidance, encouragement and recommendations to OCD sufferers. 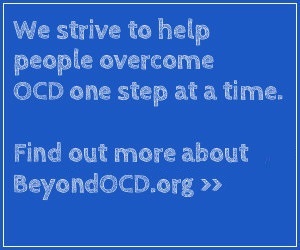 We at Beyond OCD want you to have the information you need to help those who seek your guidance. People who are affected by OCD – as well as their spouses, families and friends – are frequently in desperate need of help. And in many cases, they turn to you, first, for that help. Fortunately, effective treatment is available, so you can provide hope and optimism for those you counsel. Effective therapy for OCD is essential — OCD won’t go away by itself. OCD sufferers who seek your help are certainly not alone in battling this disorder. OCD affects approximately 1 in 40 adults and 1 in 100 children. It affects men, women and children of all races and ethnicities, socioeconomic groups, professions and religions. And OCD isn’t limited to the United States. In fact, the World Health Organization has ranked OCD as one of the top 20 causes of illness-related disability, worldwide, for individuals between 15 and 44 years of age. Helping people with OCD understand that many other people have this disorder; they are not alone. By understanding what OCD is and providing information about appropriate treatment, you can play a critical role in leading OCD sufferers onto the road to recovery.